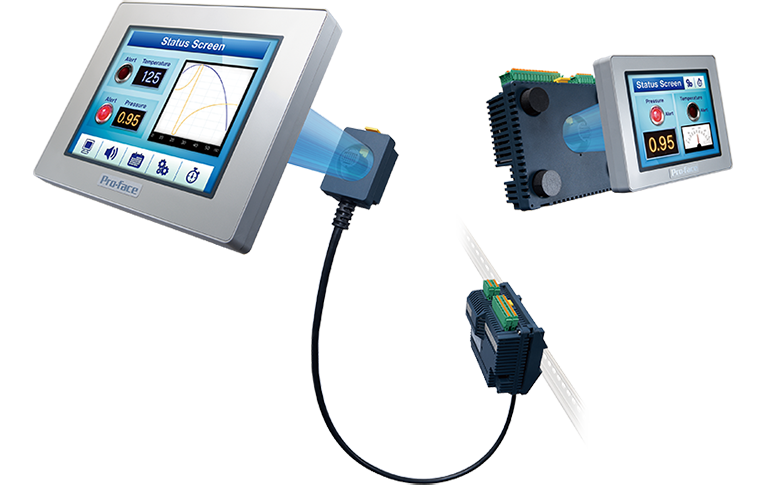 See LT4000M Series that is a hybrid HMI with a control function installed. A connection format LT4000M Series supports varies depending on a model. For details, see its specification page. The detailed catalog of LT4000M series is available.